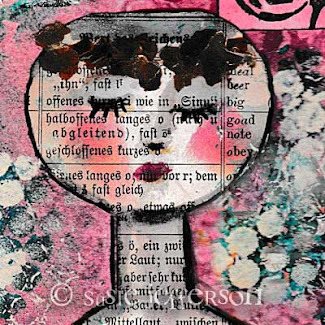 I love playing around with new stamps, and these are the newest of the new - Pam Carriker stamps! 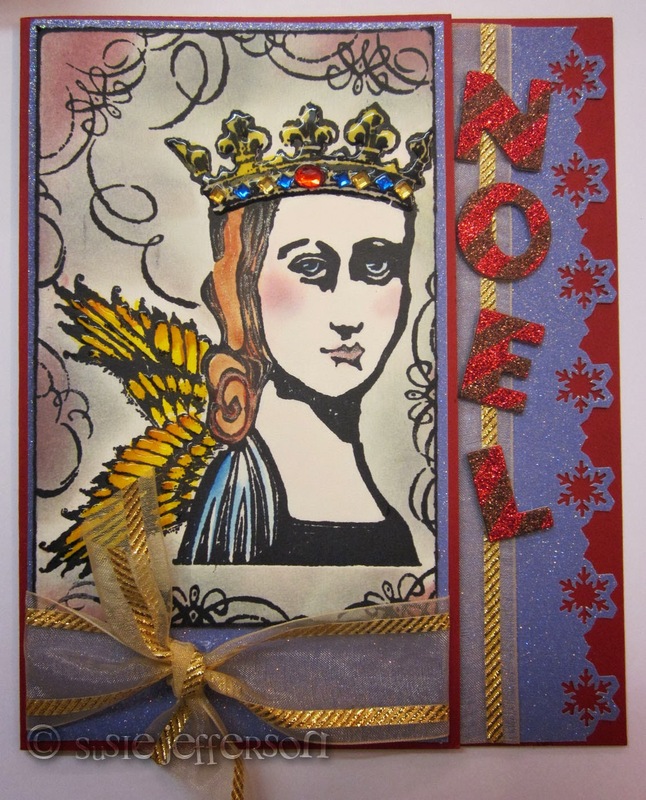 I'm using the Lady Macbeth stamp from her Poetic Portrait series, and the I Will Soar angel wings set on this card. I stamped onto cream card with Rangers Archival ink in Black, then shaded the background with 3 colours of Distress inks: a lilac (Milled Lavender), a blue-ish grey (Weathered Wood) and a deep subtle pink (Victorian Velvet), using a foam Blending tool to merge the colours, then smooshed some of the Victorian Velvet onto an acrylic block and applied this to the cheeks of the face with a paintbrush and lots of water. 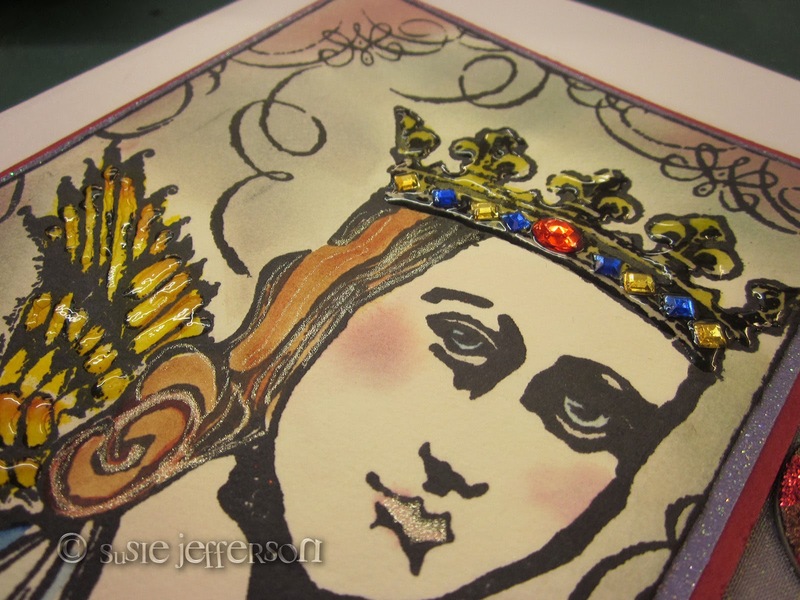 The crown is outlined, then flooded with Glossy Accents. I also picked out some of the individual feathers with Glossy Accents as well (make sure the paint is dry first, lol). I stamped the Lady, then stamped onto a Post-It to make a mask. I then put the mask over the face to protect it while I stamped the first wing over the top. I stamped the wing onto a Post-It, cut it out and masked this wing. I stamped the second wing over the top. When you take away the masks, the second wing appears to be behind the first one, and both wings behind the Lady's shoulders. I cut the card to size, edged it with black ink,mounted it to lilac glitter card and layered that to a folded red card. You'll notice I scored the card at about the 2-thirds mark, so the back portion would show from the front. 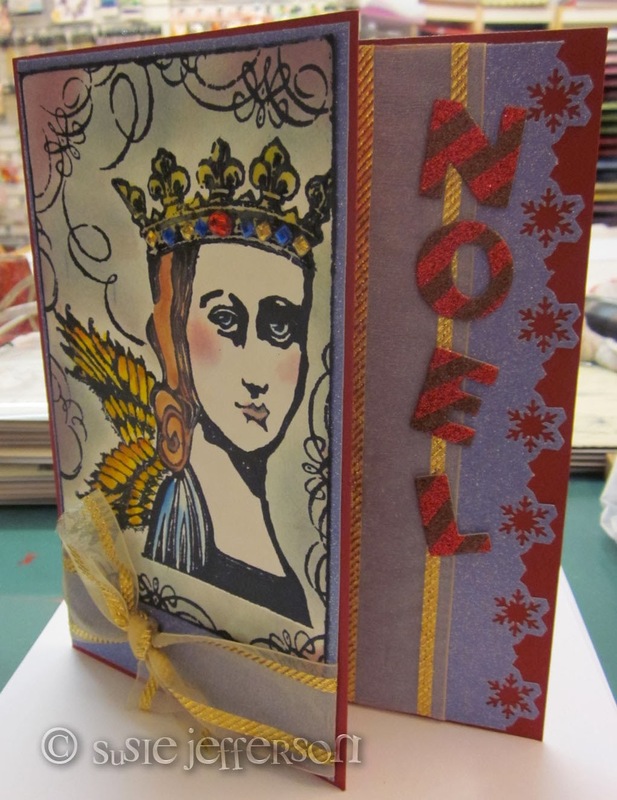 The lilac card strip at the back was punched with a Martha Steward snowflake punch (actually a corner punch, but I used it straight) and layered with the left-over gold ribbon I used on the front of the card. The letters are foam scrapbooking letters. Et voila! 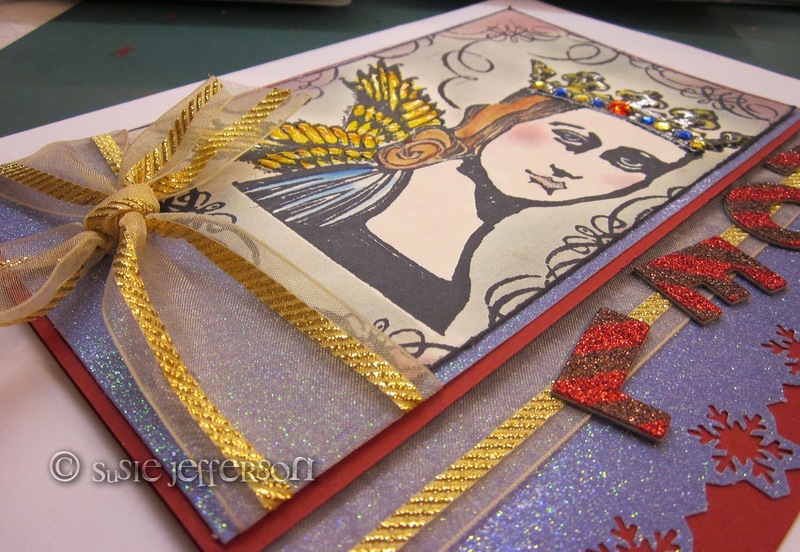 I love Pam's designs - very strong, and you can do so much with them. I made an angel this time - but you can be sure I'll be making quite a few other cards as well. Which will all be totally different. Watch this space! I like the stamp and how you used it.